Climate is Not the Only Limit to Agriculture | Watts Up With That? The sad part is the pseudoscience of the Intergovernmental Panel on Climate Change (IPCC) created predictions of anthropogenic global warming (AGW) that committed to policies that don’t fit any possible impact and exacerbate the urban/rural difference. Because the IPCC Impact Reports only considered the negative effects of warming, decision-makers did not know of the positive effects of warming or the negative effects of cooling. All governments are planning for warming when the more likely future is cooling, which has markedly different implications for the rural area. Like all issues or divides in society, the best chances for coping or ameliorating them is by putting them in context. This article examines the divergence and potential issues caused by lack of knowledge and understanding of nature and science due to urbanization with a focus on soils and climate. Even before the claims of AGW appeared people like T. J. Chandler were examining the difference between urban and rural climates. Chandler’s 1966 work, The Climate of London, was very influential in climate studies. 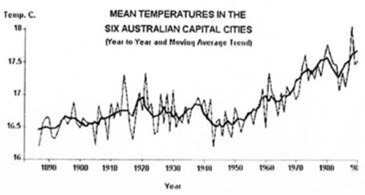 However, the urban heat island effect greatly impacted the AGW debate with the publication of Figures 1 (rural) and 2 (urban) by Australian researcher Warwick Hughes. 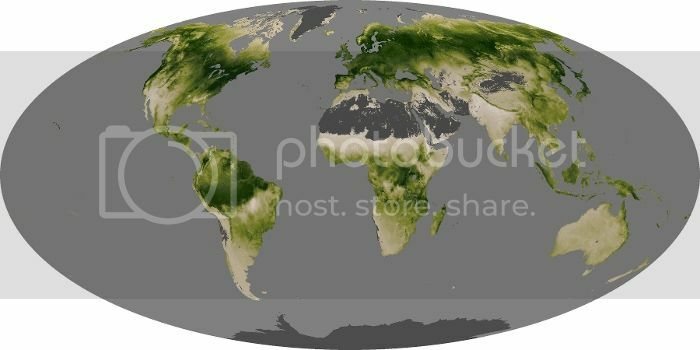 I know from my research on the movement of the tree line in central Canada that impacts of climate change are first felt at the transition between different climate zones. This is especially true for the transition zones between areas suitable for agriculture. A good example was the loss of agricultural land in Scotland as temperatures declined rapidly at the start of the Little Ice Age (LIA). Colder temperatures lowered the altitude on the side of the hills at which crops could grow. Some estimate that the conversion of this altitude, because of gradient to a horizontal measure, took approximately 50% of the land out of food production. Figure 3 is a map produced to study the impact of cooling back in the 1970s when another simplistic trend prediction was underway that the world would continue to cool with devastating effect. Consider this quote from Lowell Ponte’s 1976 book The Cooling. You only have to change the seventh word from “cooling” to warming, and it fits today’s hysterical commentary. You also have to know that in that 10,000 years sedentary agriculture developed. I always found the idea fascinating that by transposing one letter “l” changes altitude to latitude, because the pattern of climate transition is similar as you go up the mountain or move from the Equator to the Poles. It is interesting to speculate, and not difficult to roughly calculate, the latitudinal changes in energy balance that would occur with similar cooling in the past. It is why Jean Grove included the Berwickshire maps in her book The Little Ice Age, a thorough study on the evidence. Paul Homewood referenced it when he debunked the AGW alarmists claim that the LIA was not global. A positive effect of global warming is it would open up large areas currently beyond the limits of agriculture. However, suitable climate is not the only controlling factor. The rest of this article looks mostly at soil, the variable least understood or considered by the city dwellers. The Peace River country (Figure 4) in western Canada is at the northern climate limit of agriculture and therefore more vulnerable to cooler temperatures. Its potential was assessed by various people, especially employees of the Hudson’s Bay Company who were under orders to inform the Company of any economic potential. Of course, economic potential is different than agricultural potential. A resource is only valuable to us if it has a use. For example, Alexander Mackenzie travelled through the Peace River country and complained about the bitumen deposits on the surface ruining his moccasins. Today these are the vast resources of energy known as the Athabasca Tar sands. He was aware of resource potential because he said the bitumen was valuable for waterproofing birch bark canoes. The Peace River country began to open to energy potential, mostly natural gas, in the early 20th century, but agricultural settlement was boosted by the global warming that occurred from 1900 to 1940; a greater warming than occurred after 1980. The region was affected by the cooling after 1940 and by the 1970s was struggling to maintain itself. I knew several farmers who homesteaded in the region only to lose their land. It is interesting to consider the adaptations made to survive. Beef cattle became a major industry, and some farmers re-introduced bison, but perhaps the most interesting was the production of grass seed. Luckily, the cooling did not continue, and the Peace prospered. It certainly would benefit from global warming, although there is another limit, the soils. The question is what happens if warming does not occur and cooling returns as the best climate experts expect? Globally, in the 1970s, concern centered on cooling as global temperatures declined from 1940. 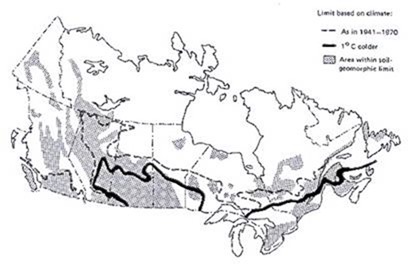 A map was produced for the UN study estimating the impact of a 1°C drop on Canadian agriculture (Figure 5). Many of today’s farmers were not operating in the 1970s but experienced similar conditions, of approximately a drop of 1°C in global temperatures in 1992 following the 1991 eruption of Mount Pinatubo. It is not clear who said civilization is a thin veneer, but I know that it is built on a very thin veneer of soil. 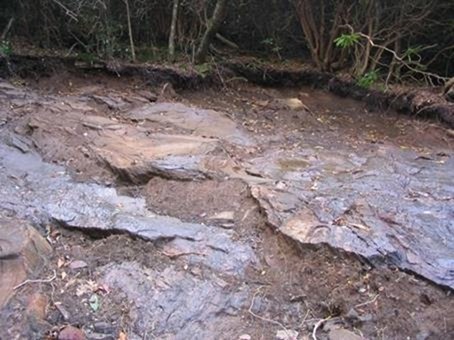 Figure 6 shows the bedrock exposed and a soil layer of one to three feet. Before Christmas of December 2017, I received a wonderful 1804 first edition of a book titled, “The Soil and Climate of the United States of America,” by C. F. Volney. The author was a Frenchman who liked what the American Revolution was about and spent three years touring the US to determine its viability. His work parallels and is as perceptive as that of Alexis de Tocqueville ‘s “Democracy in America.” Unlike most commentators today, Volney understood that an adequate agricultural base was essential for any economy and that depended on the soil and climate potential. Those who drew boundaries to create Canadian provinces understood it. For example, the northern boundary of the Prairie Provinces was set at 60°N because it was determined that agriculture was not possible north of that latitude. Hay River was established as the first capital of the Northwest Territories because it was the only small region with a sliver of soil that was not permafrost (permanently frozen). President Trump proves in so many ways why he is not a politician. I use the word politician in the way it has become defined, that is a person who does not listen or care about the people except at election time. We had another example when he spoke to the American Farm Bureau Federation Convention in Nashville on January 8th 2018. He knew what denizens of the urban swamp don’t know, that the entire basis and strength of any economy is the ability to feed the citizens. His views expressed at the Convention were barely heard from any US leader after Thomas Jefferson. Ironically, Lenin was forced to recognize this reality when in 1924 he introduced the New Economic Policy (NEP). Just seven years after the revolution and the creation of massive state-owned farms he was forced to allow every peasant to own a small plot of land. When the Soviet Union collapsed, these plots were producing over 50 percent of all available foodstuffs. Russia is a good example of the focus of this article with vast land but most of it with poor soils and a short growing season. The ability to produce surplus food produces surplus time and, in that time, you can create any monopoly game economy you want. This is the simple pattern of history and civilizations. A climate change usually related to increased rainfall allows greater food production. The word civilization comes from the process of forming cities. 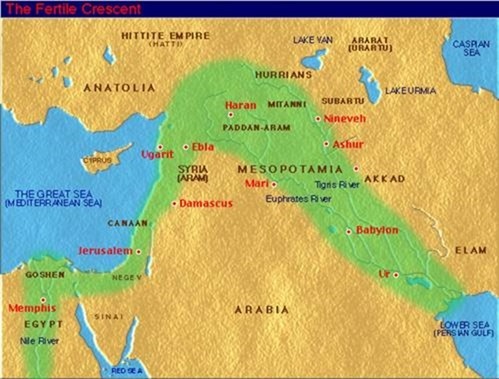 That is why the first cities appeared in what we call the Fertile Crescent (Figure 7). The cities became the storehouses of agricultural products and began to control the society. Meanwhile, they began to forget that without agriculture they could not exist. They became detached from the problems developing on the land. The Fertile Crescent had ideal conditions 9000 years ago for crops and animals that are at the centre of western agriculture today. People gradually settled and switched from hunting and gathering to sedentary agriculture. Anthropologists and historians count this as a major advance in human evolution. This is a legitimate argument from all but a nutritional perspective. A hunter/gatherer diet had a wide variety of foodstuffs, which when supplemented with small game provided what dieticians today tell us is the ideal diet. If the food supply was limited for any reason, including bad weather, people simply moved. We gave that up to sit in one place, be at the mercy of the weather, and depend on about five basic foodstuffs. I think the reason for the change was for security of supply. But if you have a surplus supply, you cannot drag it around with you. It requires storage facilities, and they require construction, maintenance, and management – in short, a city. Gradually, the cities grew in size and power but became increasingly detached from the basis of their existence. They also became detached from the problems created by that basis and threatening its future. These include a gradual change in climate, in the case of the Crescent toward increasing aridity, but also increasing salinity in the soils, and increasing rates of soil erosion. We do not think of the Fertile Crescent as a major agricultural region today and most, especially in the cities, can’t understand why it was so different in the past. · Increased productivity and better soil management through crop rotation. I saw an example of the urban ignorance of that last point when the Canadian government introduced a plan to reduce methane on farms. Many farmers signed up, partly because due to poor weather and low prices they looked for survival. The plan failed because it required the farmer to give up management of the farm with the elimination of crop rotation. We have reached a point in North America where the “industrious farmer” is a victim of his/her success. To paraphrase Abraham Lincoln, never in the history of humanity have so few produced so much for so many at so low a price. They are victims because they have lost their voice in society. A few years ago, I spoke at a farm conference in Lloydminster with about 1000 in attendance. The concern was acute because a drought gripped the region and prices for farm products were low. I spoke to them about the historical pattern of droughts and projected the end of the current situation. I was asked what the farm community could do to get the attention of urban dwellers and politicians to their problems. · The population disparity means urban voters outnumber you and therefore gets political attention. · Approximately 30 years ago most people in a city had come from the rural area or still knew people in the countryside. · 30 years ago, most major newspapers had a section on agriculture. · Some 60% of Torontonians were not even born in Canada. · Probably a higher percentage of Canadians take holidays overseas rather than in Canada. · Prime Minister Mackenzie King said Canada has too much geography and not enough history. He was wrong. Yes, we have lots of both, the problem is few Canadians know very little about either one. · A majority of politicians at the Federal and Provincial level are from urban areas. Then, you need to understand that the characteristics that make you different and successful and cause you to lose political clout. To be a successful business person or farmer, you must be a risk taker, someone willing to operate independently, to take responsibility for success and cope with failure. These are exactly the opposite characteristics required for party politics. They are why a former President of the Canadian Conservative Party said that when an election is called conservatives circle the wagons and shoot inwards. To get the attention of the urban dwellers and the politicians who court their vote, the farmers have to get together one year and say we are not going to produce anything this year. It won’t happen, but maybe just talking about the idea will identify the problem and lead to action. Of course, Trump would say you have to be prepared to do it. When global warming due to human production of CO2 was gaining political momentum, a major report identified soil erosion as a problem of equal magnitude. I disagree because human-caused global warming was never a problem. The erosion requires attention because there is so little fertile soil in the world. It is why the UN declared 2015 the International Year of Soils. 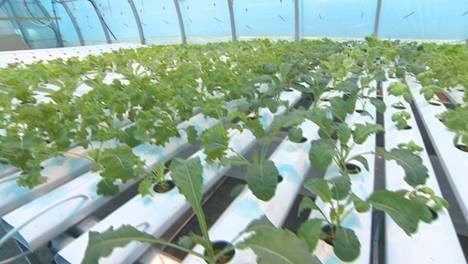 Meanwhile, hydroponics (growing plants without soil Figure 8) has possibilities, though the scale of production to equal what we produce in soil is not feasible. Besides, you can wonder what happens when rural values are lost, and the thin veneer of civilization becomes an even thicker, insensitive skin. American soy farmers don’t like Trump’s tariff proposals. Besides Jefferson, at least eight other US presidents had been farmers, planters or a rancher (TR). Most recently, Carter. Others were the sons of farmers or planters. Brazil can increase its production. And in what time frame ? In a single year, or less. But, as Tim points out, American farmers have become so scarce that nobody in power cares about us anymore. Your second link is from 2017. Now if Brazil has indeed invented time travel, that would give them an advantage. And you first link puts Brazil at parity with the US. To displace the US it would need to double production. Do you think that likely? The point of the 2017 link is to show how rapidly Brazil can increase production when the market permits. The 2018 link shows that Brazil is liable to exceed US production this year. You must be relying on very old production figures. American production varies widely from year to year. Soy bean prices this year are half what they were in 2012, with costs of production at best about the same. Thus bean farmers were already poised on the edge of financial ruin before the tariff war. They can switch to corn, but the situation there is also bad, and will get worse if the ethanol mandate should end before 2022, as scheduled. Trump campaigned in Iowa on increasing the mandate. china is planning to add synthetic amino acids to low quality feed to keep their pigs especially able to gain weight. theyre taking their bat n going home. I knew someone would challenge this. It didn’t take long. The question you have to answer is the one I asked myself. What did all those other Presidents do for the farmers except gradually usurp their power and place? Trumps removal of the “Death Tax” alone did more for farmers that almost anything any other President. Under the former rules, a taxpayer could pass up to $5.45 million to heirs tax-free. For married couples it was $10.9 million. Over that amount, the rate was 40%. The land on an average farm in Iowa is worth around $3,000,000. So only the largest bean farmers will benefit from the end of death taxes, which in any case have just been replaced by a cap gains tax on inherited assets. But states also have estate and inheritance taxes, to include the top three soy bean states of IL, IA and MN, plus NE. Thank you Tim Ball for this essay . I agree 100% with what you have written here . City people are so far removed from the rural sector that they really have little idea how there food is grown and produced . Having grown up in New Zealand and farmed here all my life I know that the news media and a lot of city based politicians are extremely ill informed . As you have stated the real cost of food has fallen constantly over the years but here in New Zealand farmers are given a hard time because the news media portrays them as peasants destroying the land and our rivers . You asked what did other presidents did for farmers. Well, Carter, despite being a farmer, not much. My then fellow wheat ranchers suffered when he barred sales to the USSR and Iran. All farmers at that time were only two percent of the populace, thus could be made to pay for foreign policy initiatives without political consequences. Today we’re even fewer. However, the ethanol program certainly aided corn farmers. Those of my acquaintance know that it was stupid, but they took the dough anyway. The cake left after distilling ethanol is fed to cattle. Federal subsidies of one kind or another on balance probably helped us from the ’30s onward, such as Reagan’s PIK program to reduce grain surpluses, and his Conservation Reserve Program in the 1985 Farm Bill, amending Ike’s Agriculture Act of 1954. CRP was amended again in the 1990, 1996, 2002 and 2008 Farm Bills. My dad stored our grain for years in order to collect the storage fee. Because we were making money only thanks to federal subsidies, under the grain price and production cost structure of the 1990s, I sold our ranch after my mom died in 2000. As noted, few farm families stand to benefit from Trump’s death tax legislation. I voted for him, or against Clinton (better a clown than a crook), but most farmers aren’t rich enough to gain from the tax cut bill. As with sanctions on the USSR and Iran, maybe the pressure on China now is justified based upon foreign policy considerations, such as the Nork nuke program supported by Russia and China. But farmers lack the political clout of unionized blue collar industrial workers. As the world’s second largest economy, China can no longer behave in the predatory manner to which it became accustomed as it grew after adopting a kind of free market system from the late ’70s. It’s now too big to act like that. But as with Carter, farmers’ interests are yet again being disproportionately sacrificed pursuant to perceived national security needs. Like most socialists, Chris is upset that people being allowed to keep their own money. Imagine, describing having less money stolen as a “windfall”. Chis, like all socialists only gets mad when his supply of free stuff is threatened. 330 estates at 20 million apiece in tax cuts is 6.6 billion. 269 billion – 6.6 billion = 272 billion. If the wealthiest 330 estates pay only 7 billion, where does the other 272 billion “cost” come from? 7 Billion to the rich estates. 272 Billion to other land owners? Are you confusing your statistics, using them to mislead, or am I not seeing something. Which is it? You exaggerate. By saying anything over 150% greater than average is the LARGEST, giving you the benefit of the doubt, is an exaggeration. Why do you feel the need to exaggerate? If you can’t make a valid point without exaggerating (of lying), then there is obviously something wrong with your point of view. Not a lie, nor even an exaggeration. The exemption for a married couple was almost $11 million, not the ~$5.5 million for a single person. So the average land value is only 27% of the maximum exemption. The structures on a farm of course add a bit to its value. Most farmers are married, especially those whose heirs are their children. I know only one rancher in my home county, one of the largest winter wheat producing counties in the country, if not Number One, whose operation is worth eleven million dollars, just barely. The 2017 Agricultural Census isn’t out yet, but in 2012, only the largest 7349 of Iowa’s 88,637 farms (many too small by itself to support a family) sold in products or got in subsidies a million dollars. Return on investment in ag is low. The point remains that Trump’s change in estate law can’t compensate for lost sales for bean farmers. Bear in mind that the federal estate tax has been replaced with a cap gains tax, which is still in effect a death tax. I should add that in 2012, soy bean prices were twice as high as now. Just a comment on a tiny part of Tim’s essay. Whilst the Medieval Warm Period wasn’t mentioned (although the LIA was) the screams from the socialist greens is that the MWP wasn’t global. But frankly, to me it doesn’t matter whether it was global or not, it simply served to demonstrate that mankind flourishes in the northern hemisphere when temperatures are warmer. 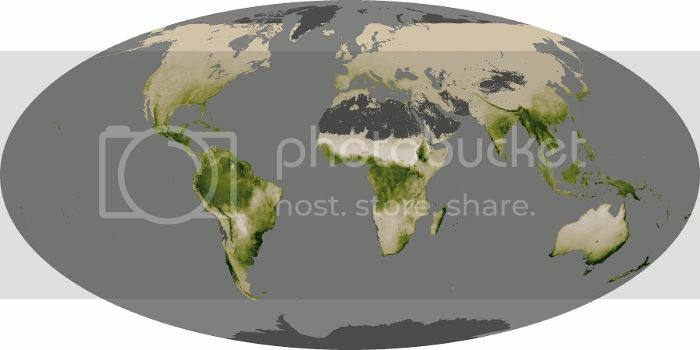 Is there any evidence that during the MWP the southern hemisphere, if not affected by it, did any better than the NH? And if hemispherical warming was a feature of the time, why is it any different now as the global CO2 increase surely maintains the playing field. In other words, if the planet ‘suffers’ increased temperatures, surely they would be confined, once again, to the NH if CO2 is the cause, and it’s rising across the planet uniformly. Or am I just being simple here? Both the MWP and LIA were global. Just as with the Modern Warm Period, however, different region were affected by these cycles to varying degrees. You are correct that the MWP and the LIA were global and if you dig deep enough there is plenty of research papers citing stalactites and tree ring proxies that have been undertaken in the Southern Hemisphere . Unfortunately the activist scientists pushing the AGW meme disregard any evidence that does not support there consensus . James Renwick was the head of NIWA in New Zealand and is now a professor at Victoria University in Wellington . He has written in the past that the MWP was a very inconvenient fact but he now claims that it was not very warm even though NIWA scientists carried out extensive studies and they stated that the New Zealand temperatures were as least as warm then as they are now . There are numerous other studies in the southern Hemisphere that prove that the MWP was global . These people are supposed to be scientists but the disregard any evidence that they disagree with . I’m familiar with at least some of the papers from the SH showing not only the Medieval WP and LIA Cool Period, but also previous such centennial scale cycles. Just as today’s “global warming” is largely restricted to the northern polar region, so to in the past were the effects of centennial scale secular warming and cooling trends most pronounced in selected regions, yet with global signals. The Soon and Baliunas paper in Climate Research, 2003, evaluated some ~180 proxy series of all types from all over the world. They concluded that the MWP was, in fact, global. This is the paper which ignited the firestorm documented in the ClimateGate files. A) The Von Storch affair: Von Storch was the editor who allowed the paper to be published. Mann (yes, him) solicits information from his colleagues about what professional organizations Von Storch belongs to in an effort to “get him through these organizations”. B) One researcher states that they will keep this paper out of the next IPCC report even if they have to redefine what the peer-reviewed literature is. C) Another researcher laments that they have lost control of Climate Research. I follow the UAH TLT data set. There is something curious in it. The Northern hemisphere is warming at a rate of 0.15 deg/decade. The Southern hemisphere is warming at a rate of 0.10 deg./decade. That is a huge difference, and the trends are long term, nearly 40 years at this point. This sort of thing does not seem like it can go on forever. You get too big of a temperature gradient between the hemispheres. Presumably, during a cooling phase, the Northern hemisphere will cool faster, just as it warmed faster. This means that both the MWP and the LIA might be more intense in the Northern hemisphere, but would still be present in the Southern. Thanks for that concise history lesson. Not long ago, I don’t recall whether it was on his blog or elsewhere, Roy Spencer, in response to some question, commented that, in the UAH records, the recent great El Nino was 0.02 degrees C warmer than the 97/98 El Nino, so yes there has been some warming. Then he said/wrote words to the effect that since the accuracy of the UAH measurements are +/- 0.1 degrees, the difference between the two El Nino events was much too small to be statistically significant. If that is so, as seems most reasonable, then 0.05 degrees difference between northern and southern hemispheres may also be completely insignificant. Then there is the fact that there is a rather sizeable ice cube in the middle of the southern hemisphere. That kind of thing sure makes a difference in my drink. At maximum Antarctica Sea Ice extents, the combined area in the southern hemisphere covered by ice (land ice + fixed sea ice + seasonal sea ice) is greater than all other land areas south of the equator. Combined. That the surface of the SH is 81% water and much of its land covered by ice help to explain why about 90% of humans live in the NH. Not to mention that much of the not iced over land is jungle, ie “tropical rain forest”. My opinion, speaking as a retired engineer, is that the most reliable proxy for temperature is the Global Mean Sea Level (GMSL). In a isostatically and tectonically stable region the primary factor affecting GMSL has to be the global temperature. How do doubters explain, in the absence of global temperature variations, the global sea level variations throughout the Holocene in a region like South Africa. and some aboriginals, but short of geo records(Ian plimer would be the chap to ask) theres pretty much no records white man didnt move in until late 1700s or so. What is a “Death tax” ? Many y years ago a in Australia we had Death duty, what a person left to his her decendants, but one politician ran on a promise to abolish death duties and romped in. Immediately evert political party voted to abolish it. “Death Tax” refers to the “estate tax” aka “inheritance tax” IE the tax on the transfer of the estate of a deceased person. Basically you get taxed on your income your whole life, you die and that money (either directly as cash or indirectly as the assets you used that money to buy) gets taxed again as it gets transferred to your heirs. Mostly it’s a tax on the middle and upper middle classes. The rich have enough money that they can put their entire estates into trusts or other financial instruments so that control of the assets can be passed to heirs without having to worry about estate taxes. As an Australian farmer I heartily agree with Tim Ball. Country people in Australia are second class citizens and farmers are rarely on the radar except when some commodity shortage causes the price to rise. We are in the midst of a severe drought on the Eastern side and good seasons on the Western side. Water is being with held from irrigators for environmental flows, electricity is so dear that irrigation is not economical so fodder that might help is not being grown. At the same time politicians claim that we have enough power from a few remaining coal plants and unreliable windmills. City Greens dictate laws regarding land clearance and even hazard reduction burning. Most city kids do not know milk comes from cows and wool from sheep and teachers delight in telling their students that farmers are destroying rivers and forests. A nationwide food strike sounds like a good idea but no farmer could afford to participate. Two degrees of warming in Central and Northern Canada will be very good for agriculture. The same has to be true for Russia and Northern China and Mongolia. Anthony Watts, the same as all scientists of climate change absolutely do not understand real reasons for climate change and must be exclude from any right to write articles about these topics. Do not like what someone is saying, just take away their right to speak. Easy. “must be exclude from any right to write”. Sure. Anytime. I do hope you are not a citizen of the United States, as you have no clue how we do things here. does the phrase “Freedom of speech, and of the press” mean anything to you. “For additional information” Oh look, he has more information for us. How generous. How about we apply your rules to you, and have you summarily banned. Would you be cool with that? Besides my special interest in the impact of climate and climate change on human history and the human condition, I also taught a course in Political Geography for 25 years that covers all of these issues. Probably a hacker seeking a fresh source of victims. No one should respond. Michael Ioffe, the same as all trolls absolutely does not understand real reasons for freedom of speech and must be exclude from any right to write posts about any topics. Seems silly, right Mr Ioffe? But that’s what happens when you advocate for censorship, it’s not just those you disagree with that can be censored it, once you allow censorship of your foes, your own speech can and eventually will be censored because those wielding the cudgel of censorship will not always be your allies. A great article, as usual, Professor Ball. But you paraphrase not Lincoln, but Churchill. Original post Fig. 7 shows ancient UR superimposed on a modern map. In it’s pre-modern time UR (& similar settlements south or southeast of where Babylon indicated on that modern map) were on the fringe of what can be described as wetlands contingous with the gulf. UR residents’ diet was not limited to agricultural products & some propose they were more significantly hunters of water fowl, fish & crustaceans + gatherers of edible plants. The modern map shows the “lower sea/gulf” shoreline in a place that was not defined so clearly at UR’s time. For example, if take the modern Iraqui town of Basra’s location as reference on a modern map then during UR’s time the “gulf” penetrated inland to around near where modern Basra came to be located. Before/during UR’s heyday the rivers toward UR & the gulf had steeper banks than today. The rains & at the time modest degree of land inclination enroute to the gulf resulted in settling out material over time; so much so that modern maps relying on the gulf shoreline show UR farther inland from water than it was. Sorry, I don’t have a link handy to the satellite survey authors who reconstructed the pre-modern UR region gulf water contours. I believe a rise in temperature of a few degrees will be overwhelmingly beneficial for humans. Dire predictions of loss of crop production have proven to be false, with a general steady increase in production. 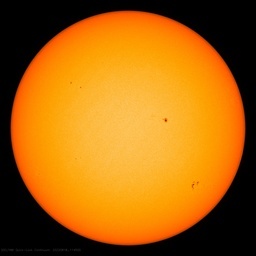 And at the end of the day the temperature rise will be strictly limited by the earth’s distance from the sun. Because the IPCC Impact Reports only considered the negative effects of warming, decision-makers did not know of the positive effects of warming or the negative effects of cooling. All governments are planning for warming when the more likely future is cooling, which has markedly different implications for the rural area. If there were any negative efects of the warmup from the LIA, I’d like to know what they were. So let’s review: governments are planning for something which they view as being negative, but which in reality is overall positive, which not only isn’t going to happen, but rather, the reverse is, which actually is negative. Insanity on steroids. The 1970’s global mean surface cooling was simply stronger solar wind states driving the AMO into its cold phase. The decline in the solar wind strength since the mid 1990’s then drove the AMO into its warm phase. That’s why there was low Arctic sea ice extent 1815-1817, AMO and Arctic warming is normal during a solar minimum. I spent 30 years living in the city of Chicago. All produce and meat came from farms outside the city, in some cases from great distances. When I moved out of the city in 2005, to a suburban county that was struggling to retains its bucolic setting against the encroachment of McMansions and shopping centers, It was just prior to an uptick in suburban farming by younger people who provide fresh produce, chickens and eggs to local stores and/or include subscription or membership access to suburban people who want fresh stuff produced locally. These are small farms, 50 acres at most, not the megafarms that produce walloping huge volumes of grains for the commodities markets. And frankly, at the farmers’ markets, a large percentage of the produce on display is brought in from outside the state. It is not that farmers are not appreciated in this area, because they are. It is a complete lack of awareness on the part of city dwellers who cling to the concrete canyons that they live and work in, and would not venture out to a farm if their lives depended on it. No, they do not know where their food comes from, nor do they care, because they view the packaging and labels as the source or origin indicators. Tim is right in that farmers are the least appreciated and the least understood people anywhere. If access to food at city grocery stores became compromised by another prolonged drought like the Dust Bowl**, which was a disruption of the normal monsoonal flow of air out of the Gulf of Mexico into the lower midwest, then people in the USA might appreciate farmers more. I have no desire to find out, so I will leave that hanging. However, if good farmland that is productive and fertile is taken out of production to build idiotic McMansions (yes, they are returning) with no thought to the consequences, then the cities will suffer for it first. **I know what made the Dust Bowl happen and why, so don’t start lecturing me about it. A lot of stupid things occurred that coincided with a prolonged loss of rain and snow. And no one in Washington, DC, believed it was happening until one of those dust storms blew into town while Congress was in sesssion. 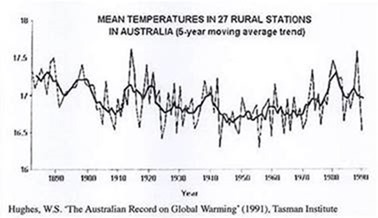 I have been watching this possible shortened growing season with some concern, and have asked Dr. Tim Ball if he will write about some of the history of the global cooling period circa 1940-1977 – and its impact on crop regions. 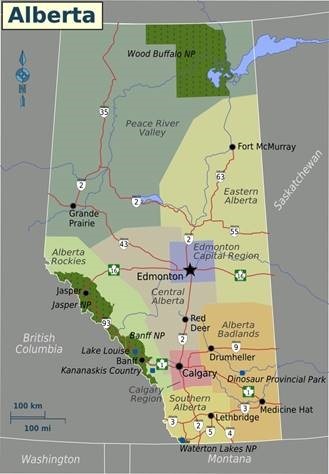 Tim published this article today, and mentioned the Peace River District, where Alberta Premier Rachel Notley hails from – thank you Tim. So Premier Rachel, what happens to your beloved Peace River district if global cooling recurs, like the natural global cooling that occurred from ~1940 to ~1977 and caused great hardship to the Peace River farming community. Incidentally, I predicted in a 2002 Calgary Herald article that this natural cooling would re-commence by 2020 to 2030, and I now think it will probably start before 2020, possibly even this year. What will you say to your farming friends in Peace River, Rachel, when it is obvious that you got it all wrong, that your carbon tax policy was 100% in error, and that you played a major role in ruining everything of importance to your constituents? What will you do, and who will you blame? One hint: CO2 and fossil fuels are NOT the problem – extreme left politics are – in fact, you are, Rachel, and you have had decades of warning that you were wrong, but you just would not listen. Notley created the carbon tax for a dishonest purpose. To dress the Oil Sands in green. Instead it served to encourage the environmental opposition. The fruits of these labours have last week become clear for all to see. Notley’s carbon tax tells everyone that Alberta is selling a harmful product. Don’t be surprised no one helps build a pipeline to help sell the product. Alberta has shot itself in the head. TrueDope is now doing the same for all of Canada. The national carbon tax tells the world that Canada’s oil is dangerous. Why not simply sue yourself and bypass the middle man. Oh yes. We just paid 4.5 billion dollars to buy a lawsuit. How much food can be raised on the present acreage in the USA that is growing Sod for lawns? I have seen Sod farms among the corn and soybean fields near me as large as the corn fields shown on TV that seem to go on forever. Seriously doubt that the sod they produce on those farms are being shipped to the suburbs along the east or west coast. Also believe that when people start starving that they will be used for FOOD. Additionally many farms waste a lot of area growing produce that people buy rather than the produce needed to sustain the life of the population. If some cooling come to pass, will it be ‘just’ of the order of the 1960s-1970s, or maybe closer to the Dalton or worst still a Maunder minimum? How would our ‘just in time’ ordered lives fare against the onslaught of more extreme, and less predictable weather patterns? Cooler time have always had wacky weather — look at Samuel Pepys’ diary (fire of London during the great drought of that year) or the ‘Great Storm of 1703’ as reported by Daniel Defoe These men, and many other diarists of that century and before, lived through the LIA. Their writings are quite an informative resource about the violent swings the weather would take. Tom and John, you are correct. Based on the evidence, the warmist propagandists have it wrong – again! Warmer weather does not lead to wilder weather, as the warmists allege, but colder weather does. That is what the data supports for Atlantic hurricanes, and that is what the historical data for extreme weather events also supports. In the recent mild warming period starting circa 1977, wilder weather events and hurricane intensity and frequency have declined. It is remarkable how bold the warmist lies have been, and how utterly stupid and gullible the media, the politicians and the public have been in accepting and repeating these lies. Indeed. Locally, astronomical winter is the period where the local weather is most variable. I am about as likely to see highs in the 70sF as 30sF, but I would much rather have the 70s, even with the mosquitoes. As winter transitions to spring, the weather becomes less variable and the amount of precipitation increases a bit. 4 to 5 inches of rain/snow equivalent liquid during the months of December (only the last 1/3rd is winter), January, February and March (first 2/3rds are winter) is the wettest, averaging near 6 inches, in part because March is a rather extreme month weather-wise. With spring (last 1/3rd of March, April, May and first 2/3rds of June), the weather becomes less variable as it gets warmer. Summer (last 1/3rd of June, July, August, and first 2/3rds of September) is the least variable and the average amount of rain decreases from about 4 inches in June to about 3 inches in September (active tropical system years excepted). As autumn transitions to winter (last week of September, October, November and first 2/3rd of December) and as it gets cooler, the amount of precipitation increases from 3 inches average in October to 4.5 to 5 in December, and the variability increases such that we see more cool days than warm ones. In addition, due to local geography, we have two tornado seasons. The main season is March and April, with some overlap in February and May, depending on local variability. The secondary season is late November through mid-December. We are most likely to see tornadoes when the variability is high, the jet-stream position is favorable and major high pressure systems set up with strong low pressure systems moving between them along the high amplitude ‘meridional’ jets. Hmm, that reminds me. The most memorable tornado outbreaks here were March/April in the 1930s, the 1970s and the 2010s, with the 2010s actually being less in intensity and with fewer deaths, overall, despite the big 2011 one. One might also say that the creation of cheap and widely available computer technology has also contributed to the development of sedentary science. A note for Dr. Ball: The utility of hydroponic farming depends on what is chosen to grow that way. On the land that my Mother’s family dryland-farmed Ontario for 170 years (corn and wheat from 1832 to 1990), there is now a good-sized hydroponic farm. I’ve toured it, interviewed the current owner, and understand its operations. While they could continue to farm wheat there, in open air, as neighbor farms still do, the technology of hydroponics makes the facility produce year-round, which could never be done otherwise. As a result of this ‘closed-system’ approach, which I think makes it an agribusiness in the best sense of the term, they have predictable, all-year production, and can contract for delivery of their products to supply channels that need that consistency. That consistency was simply not possible when dry-land farming. Yes, the capital investment is higher upfront, but the labor costs are lower, and year-round productivity supports a reasonable return. The company is growing. In the last 8 years since I went there, they have doubled their acreage under the greenhouses, and also doubled their production. Its relevance to the current discussion is related to the dependence, or rather, lack of dependence, on soil quality. It is a cooperative environment, with interdependent subsystems, much like a human body is. The sum of its activities is prosperity and productivity brought about by addressing the needs of its sustainance. All the best, Dr. Ball. The venting is to prevent condensation on interior plants; otherwise risks mildews (& other things like botrytis).Ontario winter greenhouse walls are probably a double wall material (to minimize grower’s heating costs) & not glass. If it was glass walled then the glass temperature (from grower’s heating) would be cool enough due to winter cold on the glass outside surface for moisure to condense upon (from grower’s humidity) on the glass inside surface. Double walls will stay relatively warmer & in contrast to glass in winter do not favor condensation on the interior surface; so the plants need to be protected from interior moisture, not heat itself. The plant leaves’ temperature is at some times a bit lower than the interior air temperature’s dew point (which dew point in relatively humid greenhouse air is, in turn, lower than the interior temperature of the greenhouse’s air) & then condensation can occur on a leaf. Yes, they are double-walled polyethelene, pressurized between to provide airspace. There is apparently some year-round hydroponics farming going on in Michigan. I can get zucchini, cukes and tomatoes from both Michigan and Mexico in the winter. So it isn’t jut taking place in Canada. Wal-mart is a big purchaser in this market. To paraphrase Abraham Lincoln, never in the history of humanity have so few produced so much for so many at so low a price. An accurate claim, but I think the the template is from Churchill rather than Lincoln. ..Climate is Not the Only Limit to Agriculture.. There are NO limits to any human endeavour, apart from the limits of human ingenuity. And we currently know no limits to this. The debate is still open on the limits to human ingenuity. It is universally agreed that stupidity however has no bounds. Just last week the Canadian government easily coasted past the old mark and set a new personal best for stupidity. Encouraged by their success the Canadian government is preparing to set an all time new world record for stupidity in next weeks trade talks with the US. The CBC is geared up to tell Canadians just how patriotic TrueDope’s hair looks next to Trumps, so we will be much better off voting for Justine next year as he/she is so much smarter looking than any other leader could ever possibly be. Don’t be surprised if the CBC announcer sighs breathlessly at this point. Especially if he/she identifies as male. Exactly. By inspection Darwin’s ‘laws’ do not encourage survival of the fittest. They merely ensure that anyone so dysfunctional as to fail to reach the Age of Procreation gets eliminated from the gene pool. Stupidity is encouraged as long as it is not so great as to render sexual congress impossible. Natural selection is based upon not just survival but relative reproduction success. Leo’s correct. It is survival of the fit enough (who and there must be a who, determines fittest-ness?) at a specific time and place. Or, be fruitful and multiply, lest ye be replaced. There is a lot more inbuilt variability than is generally believed and for successful species, this is the thing conserved or preserved, as far as I can tell. You can’t reproduce if you don’t live long enough to reach sexual maturity, for sexually reproducing organisms; and if your progeny don’t do the same, you are, by definition, not successful. An organism which survives but doesn’t reproduce has no effect on the next generation, so its genome won’t contribute to evolution. It might affect the next generation by killing or otherwise keeping other members of its species from reproducing, however. The fitness that matters to evolution is reproductive fitness. An individual who is fitter, would have more of his/her offspring survive long enough to find mates of their own. Both because the offspring are fitter and in the case of man, the parents are able to give better guidance. As a result, over time, the better adapted genome will come to dominate the gene pool. And utter BS to boot. Human endeavour is absolutely and strictly limited by the laws of Nature and the resources available. To think otherwise is to be a magic thinking leftard who Believes in Windmills. …Human endeavour is absolutely and strictly limited by the laws of Nature and the resources available…. Facepalm! You need to read Simon before commenting on him. That is exactly what he shows in NOT true. He points out the difference between ‘resources’ and ‘raw materials’. Raw materials PLUS human ingenuity equals resources. For instance, why did the Ancient Egyptians not develop computers? They had vast amounts of silicon available to them in the dioxide form…. Smart people figure out better ways to use the same resource. More can be done with limited resources. Beyond that, better techniques always result in the ability to get more resources in the first place. First Law: Nobody and nothing under the natural laws of this universe impose any limitations on man except man himself. Second Law: Not only the Earth, but the entire Solar System, and as much of the universe as he can reach under the laws of nature, are man’s rightful field of activity. Third Law: By expanding through the universe, man fulfills his destiny as an element of life, endowed with the power of reason and the wisdom of the moral law within himself. Now if only Trump set his sights on Selenopolis on the seventh Continent, istead of the skittish Gateway lunar avoider, things would indeed be great again. Plant food comes to mind. I can’t verify if this is true. If we only had a solar powered device that could turn CO2 into oxygen and food that could be useful on Mars. Where would we start to develop such a device. I’m stumped. Î give up. Such a device could never be built. It defies the imagination. Why if something so magical is ever found we could “plant” them here on earth and they would get rid of carbon pollution and generate oxygen and food for the people of earth without any need for carbon taxes. But of course if such a thing were possible our government would have already done it. Seeing as how they hate taxes and only impose them when they really will help us and there is no other way. People gradually settled and switched from hunting and gathering to sedentary agriculture. Anthropologists and historians count this as a major advance in human evolution. This is a legitimate argument from all but a nutritional perspective. You haven’t read Jared Diamond then have you? It is possible to argue – and he does – that from a social perspective agriculture was mankind greatest mistake. These are all the results of agriculture. It is possible to claim – and I do – that Marxism itself with its communal ideology and anti-elite bias is nothing more than a romantic yearning for hunter gatherer society – which is of course where we would end up if we followed his tenets to their illogical conclusion. The ONLY benefit that civilisation based on agriculture brought to the vast majority of people is that it allowed more of them to live at a worse quality of life. Since without agriculture, hunter-gatherer humans would number at most ten million worldwide, do you volunteer to kill yourself and over seven billion other people in order to get us back to the correct pre-ag population level? To paraphrase Ninotchka, indeed there were fewer but better people before agriculture, but do you really hate humanity so much that you want to return to a global hunter-gatherer economy and culture? The concept of ‘Nature’s Gentleman – the idea that man in his natural state was at one with nature and ideally happy – is a concept of great antiquity – Adam and Eve are the first examples. It got a boost in the late 1500s and early 1600s with the discovery of the New World, but was comprehensively exploded by Hobbes in his ‘Leviathan’ (1651). which famously holds that the state of nature is a “war of all against all” in which men’s lives are “solitary, poor, nasty, brutish, and short”. Primate population never ecxeeded tens of millions. We are entirely different and can determine our relative potential population density. Fire and Agriculture being just part of an unending series of physical principles. No animal species can do that. Not just density, but longevity has utterly changed. Any culture that reverts quicky undoes density and longevity. Take the Yanonami ( a favorite Stanford poster selfie) they never saw grandchildren and were to be cordoned off from modern medicine etc! And have no idea who managed the Amazon forest and soil – forgotten. Archaeo is littered with such cultures. That has got to be the single stupidest thing I have ever read. Having a reliable source of food has made man miserable? Do you actually believe that? There’s a reason why there are no old hunter gatherers. One of the after-effects, for *most* folks, of having a stroke is a thing called Emotionalism, sometimes= Emotional Lability. I have previously ventured it as a possible reason why Weepy Bill McKibben is actually ‘weepy’. Be aware of something akin coming to elderly relatives & friends, even possibly yourself. Control that waistline, cut that sugar & booze and do *anything* to increase physical activity. No matter how ‘stupid’ or ridiculous. *Nothing* is more ridiculous than being 45 years old and in a hospital bed with less physical ability/control than a new-born. As I was 14 years ago. I’ve got Emotionalism and in my case it manifests as eyes filling and tears running down my face, typically when I come upon something very sad, very happy or especially poignant. People on occasion will approach me when it happens, wondering if I’m OK. When I explain the ‘problem’, their invariably kindly reaction/response only goes to make it worse. yes there is magic. Back on topic and latitude and altitude.. It stated that, as you started from the very South West of England and moved north, the growing season decreased by one week for every 100 miles north you moved AND also by one week for every extra 100 feet of altitude you gained. This became a reason for my previous and ongoing wanderlust & exploring – is it true? Was my Cumbrian Growing Season (at 300 ft AMSL and 300+ miles north) actually 6 weeks less than the area around Taunton? Somerset is a nice place, not least as it has a feminine landscape and in many ways reminds me of Cumbria when I was a child. The farming and attendant wildlife not least. It opens a huuuuuge number of questions, not least, how did I at age= 10 or 11, come to be helping a Cumbrian farmer harvest spring-planted wheat? Also, how did my grandfather grow and harvest so much hay for his shire horses 50 years ago and how did he also grow the original wheat and oat varieties that were taller than him at 6 feet and 7 inches? Such things *surely* requiring a warm and benign climate, yet my experience in Cumbria and that of my neighbours from (say) 1995 onwards was that it was too risky weather-wise to even risk spring barley – such stuff needing 4 or 5 weeks shorter season than wheat. Back to the top and where I started, getting exercise for stroke prevention & recovery. The folks of the West Country, Bristol and Somerset know how to party – they ‘know’ what and how much mindless dance music a sane person needs for good health & self-directed physiotherapy following cardio vascular disorder. And why are so many kids in their 20’s now being diagnosed with full-blown Type 2 Diabetes? Could it be because impromptu Raves & Dance Parties have been made illegal, totally banned and are always instantly & utterly trashed by Law Authority should one ever be discovered? And all in the name of Health and Safety. Even before we get into the loneliness, depression and suicides that such things prevent/alleviate. Do you laugh or cry. For the children? They have instinct, born with it yet as with force feeding them vegetables and then rewarding them with refined sugar – 3 and 4 year olds actually know better than their (scientifically misguided) parents. We all have instinct, yet the barrage of mind bending chemicals we ingest daily, destroys it and ultimately we will go the same way. Not sure why Jefferson gets so many quotes (agriculture and slavery were linked and he seemed to be on the wrong side, proto agrarian confederacy). Much better to quote Alexander Hamilton, Mathtew Carey, on the harmony of interests : Report on Public Credit , and Report on the National Bank. Thanks to Hamilton, the Electoral College was designed to counter group-think of large metropolitan concentrations like NY, SF with representation from the midwest, for example. Trump knows this, as do the Dems, who did’nt heed. Hamiltons Harmony is under discordant attack for decades. Glass-Steagall will put finance back into harmony with the economy. And by the way, the Amazon black soil is manmade, from eons ago. The practice of renewing soil is ancient, and widespread (terraforming ?). Climate created the soil in my area (Palouse series sandy loam), which is loess, ie windblown deposits piled up against mountains. The glaciers and ice sheets of the past 2.58 million years ground up Miocene flood basalts and other rock formations to create the dust to be carried by the wind, which itself depends upon climate. 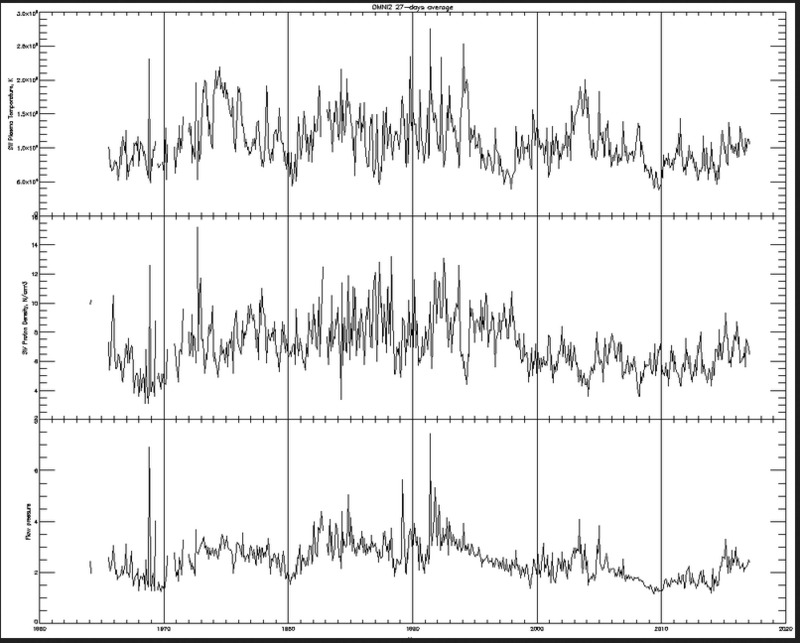 Glacial intervals are not just colder but windier than the balmy interglacials, such as we are currently enjoying. carbon, leaving the yellow soil once again, with artifacts remaining. droughts and fire which it’s competition did not. Darwin at work. of the US did. Cause was confused with effect. See my additional comments below. the Indians did 500 Years ago had anything to do with soil now. I suspected natural gas, and pursued that Idea with the test detailed below. It never ceases to amaze me the nonsense that people can convince themselves of when they try really hard. BTW, there were no midwestern farmers thousands of years ago. You really need to find some new sources for your fiction. topsoil in the Midwest? If so, you need to read my comments again. Humans created neither the Tera Preta nor the soil in Kansas. If you knew anything about the area, you would know that the prairie created those soils. Grasses, growing, then dying and rotting, over 10’s of thousands of years. I have been to the area, done a test and confirmed my hypothesis. After a court ruling in 1967, the California Senate was forced to reapportion on a population rather than an area basis. From that time the farmers lost their voice in California state government. Since that time, California has headed straight downhill to the basket-case it is today. topsoil in NE Kansas is the first place I tested my hypotheisis. test meter. I had a positive result for hydrocarbons. sources and from soil creatures intermixing the subsoil with the topsoil. as reflected in the soil map. There is no natural gas percolating up. None, zilch, nada. Do a simple test, Mark.